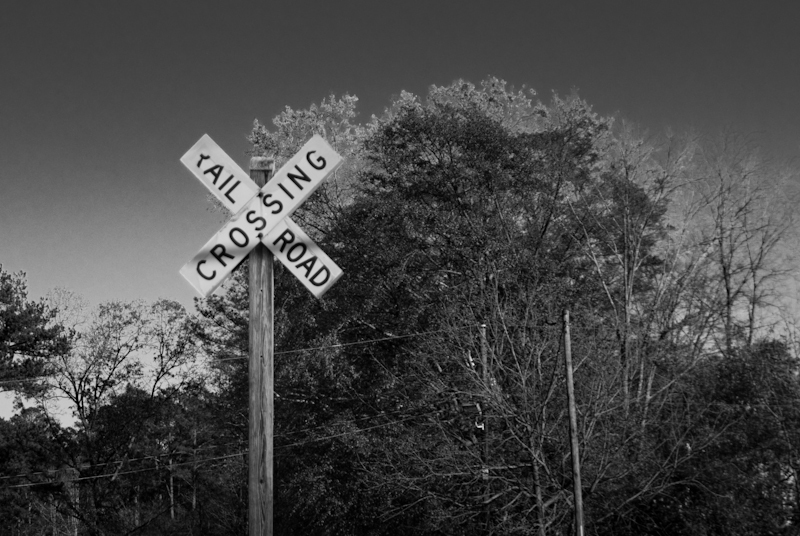 I like the look of the railroad crossing sign in black and white. It reminds me of a small town in a time when things were a little slower. A time when people were not in such a hurry. Think for a minute about the last time you asked a stranger how they were doing, and really wanted to know the answer. I guess I’m saying that we should all slow down and take a step out of the rat-race to enjoy the world and people around us.